It’s been almost 9 months since the tragic death of Mollie Tibbetts at the hands of an illegal alien in the small town of Brooklyn, Iowa. The case gained national notoriety and spotlighted a glaring problem in our immigration system. Will Congress Trade: E-Verify Bill for Ag Act? Peach Orchard Owner and American Worker. Read more about Will Congress Trade: E-Verify Bill for Ag Act? Congress poised to end jobs magnet, reduce illegal immigration. Hurricanes Irma, one of three storms blamed for weak September jobs report. Congressional amnesty discussions have Californians on edge. Once amnesty banter picks up on Capitol Hill, border crossings surge, and overpopulated California is a popular migrant destination. needs E-Verify, RAISE Act in exchange. 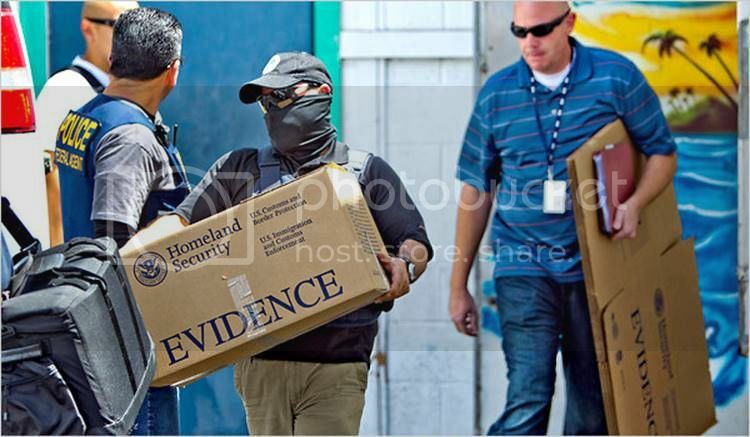 DHS officers seize evidence from suspected illegal immigrant employer. Many among President Donald Trump’s supporters wonder why he spends so little time on less challenging, less controversial immigration goals. An example is E-Verify, the free and easy online program that confirms whether an employee is legally authorized to work in the United States. With an estimated 8 million illegal aliens in the labor market sector, mandatory E-Verify would free up most of those jobs for Americans.